Image: THE ZEN DOG Podcast Matt Beisner believes that dogs come into our lives to teach us very specific lessons. He should know. He needed plenty of them, just to survive. Beisner – the worst kept secret in Los Angeles by dog lovers and dog rescuers is the founder of THE ZEN DOG. His training methods are like no other. Using no tricks, treats, force or food, Matt’s results are nothing short of miraculous. In his work Matt shares his journey, from helpless child to hopeless addict, from surrender to sobriety, finding his redemption and life path by dealing every day with the thing he feared most: dogs. Through these life changes Matt came to understand that every relationship, especially that which you have with your dog, only works if it’s based on respect, trust and love. Matt and his wife Brooklin currently live in Echo Park with their new baby boy and five rehabilitated rescue dogs. They opened their first facility, THE ZEN YARD near Downtown Los Angeles in 2015. Image: THE ZEN DOG Image: THE ZEN DOG Podcast Transcription Welcome to the doghipsters.com podcast, where we share amazing interviews and insights on the fun and fashionable doggie lifestyle. If you want the best for your furry friend then this is the place to receive current, expert, original, and organic information. This is Courtney from Dog Hipsters and I am here with Matt. Matt was afraid of dogs until 8 years ago, when a near death experience had him face his fear. From this he created THE ZEN DOG, the most unique highly regarded technique for dog rehabilitation, training, and sustainable behavior in the Los Angeles area. Courtney: Hi Matt, it is wonderful to have you here today. Matt: Thank you Courtney. It’s great to be here. Courtney: So what inspired you to begin working with dogs? Matt: I kind of came into it accidentally. I was afraid of dogs until about 8½ years ago. I met somebody and moved in with her. She had rescued a terrier out of the streets of South Central. The terrier was out of his mind aggressive, and I actually was pretty ill at the time and I wasn’t able to work. She was working – actually she was working supporting both of us. So as I was home with this dog, this dog was terrorizing me. I didn’t really know what to do, didn’t know how to help the dog. It was literally the kind of situation where I would get up to go to the kitchen and the dog would attack me, or I would make a lunch and I would put it down on the table and he would fight me for my food. I knew that something had to change because I was hostage to this 10 pound terrier mix, who is actually now with me sleeping right next to me, Kingston. I was watching an episode of a certain celebrity dog trainer and in that episode he helped a grown man get over his fear of dogs. That was the first time I had seen that was possible for me. I began to practice some things here and there. Some things worked for me and some things didn’t, but it was a shift in my consciousness to where it became possible. When it became possible, then I started to put some things into practice. What I didn’t expect to happen, that I understood later in hindsight, was that I began to make it about what the dog needed and not about what I wanted. When I make any of my work about what the dog needs or what the client needs, I always benefit in the long run. Take my wants out of it. That was the original inspiration, just help me not get attacked so that I could have my lunch or move around the house. Very quickly I began to develop a relationship with the dog and I just wanted to stay with it and deepen that relationship as much as possible. Courtney: That’s amazing. So how do your training methods differ from other popular training techniques? Matt: This is a great question. This is an important question for me. I am a relationship trainer. What I have come to understand is that if I want to change the relationship, I have to look at the energy in the relationship. If I want to change the behavior, I have to look at the relationship itself. The training world is pretty much broken into two camps. Positive dog trainers, treat training, clicker training, reward-based training. If you’re not a positive dog trainer, people will regard you as a negative dog trainer which means you are using punitive methods, dominance-based work, alpha rolls, a lot of the stuff that has been made popular, stuff that I used to teach and buy into before I grew up and matured into this work and got more education There is the positive world and there is the negative world and my world is the relationship world. Dogs being mammals and being pack animals and being domesticated for 14,000 years, they are wired to make decisions in consideration of their primary human relationships. In the relationship itself, there’s five areas that I am always looking at, where we create the biggest problems for ourselves and our dogs: the front door, the bed, how we feed, how we walk, and how, when, and why we give affection. Courtney: Great methods. What are the founding precepts of THE ZEN DOG approach? Matt: There’s five precepts that THE ZEN DOG is expounding. One is the philosophy, the second is the approach, the third is the relationship, the fourth is engagement, and the fifth are concerns, both as owners and individuals and as a community. All of these precepts come down to the first one, which is the philosophy itself. Our philosophy is now and from the beginning was built on the understanding that we strive to have right relationships with everyone that we involve and all of our relationships are built on respect, trust, and love in that order. That is to say that I respect the animal or the person that I am dealing with in terms of knowing what they need. That begins to earn us trust and then that makes space for love. Most of us, myself included, have actually flipped the paradigm where what we get is, I love my dog so much, I don’t totally trust my dog and my dog doesn’t respect me when I need it to. So that’s the backwards relationship. The right relationship is respect, trust, and love and that has to apply to everybody that I work with: venders, staff, clients, competition, myself, I have to respect my needs. That is the mindset with which we seek to engage with everybody throughout our day, but the primary purpose is to be of service and we do that through the practice of right relationships. Courtney: That’s a great philosophy. So based on your experience and research how does non-verbal communication differ between two people versus between a person and a dog? Matt: Every species on the planet is communicating through energy. 94% of human communication is non-verbal. In a human to dog communication, the dog is constantly communicating through energy, whether it be how I show up, the kind of day I had, the moons changing, the fires that are happening right now in our area, the temperature, those kinds of things are all part of the dog’s communication that they are having with the human. What humans don’t realize is the moment that they meet a dog, even before they meet a dog, they have begun to communicate who they are, what their intentions are, what their mindset is. So you will hear this from owners a lot, “When my friends come over and my friends are comfortable with dogs, my dog doesn’t have a problem. When I have a friend come over who is afraid of dogs, my dog gets aggressive.” The dog picks it up, usually before that person even walks through the front door. Knowing that dogs are constantly communicating through energy, I have to be mindful that there’s a lot happening that I am not even aware of as I enter into a dog’s space. My job is to pay attention to that or at least to practice the consideration of that. Humans don’t listen to their energy. Generally what they do is that they listen to the words instead of the energy. What you get out of that is that we end up working with people that we don’t respect, or we vote for people that we don’t trust, and we stay in relationships with people that we don’t love. Somewhere deep inside we know that’s not right for us, but we do it based on what we’ve been told, based on the verbal communication. Courtney: Ok, that’s helpful for dog owners to know. So, why is energy and sound more important than touch when training dogs? Matt: Knowing that energy is the one means of communication, it’s the beginning of me practicing consideration. The energy is the mindset. It’s the framework. It’s like the emotional blueprint for the experience that we’re about to have. I am not Zen. I am not a monk. I need to do the work because it makes me a better person, but I have to be mindful that the energy is the most powerful means of communication happening between me and the dog. If I am mindful of that, I become a lot more mindful about my sound, the words I use, my tone, my volume. Then I become a lot more mindful about my touch. What happens for owners is when they take a step back, they start to see the energy that’s possible in the communication. People get to see this very clearly and practically in our private sessions and at our boarding and training in our facility. When they get to see the energy that’s at work, they begin to see how much power they actually have. I don’t mean power in a gluttonous way. I don’t mean power in a dominant way. I mean there’s a natural power in this dynamic here. So they get a chance to take responsibility for what they say and how they say it, and for how, when, and why they touch their dogs. That mindfulness is critical for the dog to have an opportunity to become its own dog. One other thing that I want to share on that is if you consider a dog’s relationship on a pie chart, the smallest part of the pie chart is physical contact. This is true for humans too. The smallest part of any relationship we will have with another human being is physical contact. It’s the most loaded and charged. It’s where we do the most damage and where we express the deepest love often, but that’s the smallest part of the relationship. The larger part of the relationship is verbal communication, working backwards from touch to sound. The largest part of any given relationship is just shared space and that’s where the energy lives. In order for me to earn a dog’s trust enough to move into physical contact, I have to begin by respecting the shared space. For different dogs the parameters are different. Some dogs you can walk down the street and the dog that’s across the street will set your dog off. In other cases, I worked with one of these yesterday, where the dog is fine up until it gets about two feet away from another dog. Its got a different comfort zone. Its got a different sphere of shared space. That idea, just being willing to consider that energy is at play here, starts to give me and the other dog space to work in. Courtney: Interesting. What do you consider to be the biggest challenge for owners to overcome, in order to enhance their relationship with their dogs? Matt: The biggest challenge that I see that owners face on a regular basis in their desire to enhance their relationship with their dogs is detachment. It’s probably the most difficult tool, the most difficult practice, I would say for humans in general. It is the most counterintuitive. Nobody gets a dog to practice detachment. My wife and I have five rescued, rehabilitated, once aggressive dogs and I am fortunate in a way because I didn’t want four of them. I just knew that it was right for me to get them and now I can’t imagine living without them. Most of us see a rescued dog, or someone is looking to get a dog from a breeder, they have a certain desire. They have an emotional desire, they have whatever their backstory is. We get dogs because our partner has left, because we are lonely, because we just moved, because we’re ill, because we want to have fun, because we want to experience ourselves as giving love – that’s really crucial to our own personal development. The idea of practicing detachment is a real eyebrow raiser for a lot of people that I first meet. What we get to find if we take a step back, just one step back, and we start to make it about what the dog needs instead of about what we want, we begin to see our dogs differently. What I have seen happen over and over again, is that when I take a step back and make it about what my dogs need and not about what I want, I start to love them in a way that I had never loved them before. I am beginning to love them for who they are. It is really hard for me to see who the dog is if I am putting all of my attachments on the dog. To me it is the way a healthy relationship works. It took me a while to figure that one out too, but that’s the reality of it. This has to be about how can I be of service to, in this case, the animal or in a relationship with a human, how can I be of service to my partner here? I end up being the beneficiary way beyond what I could have imagined. Some examples of detachment: the bed, the front door, treats, how we give affection. There’s a lot of things that we do that we don’t realize are creating and reinforcing an energy in the dog, a physiological experience in the dog, a Pavlovian state in the dog that is going to lead to unwanted behavior. So if I do the normal thing and I come home and my dogs are happy to see me. I do exactly what I want to do which is, “Oh, I love you so much” and I hug them and I love them, there may be nothing wrong with that. If I have a socially challenged dog, a dog whose fearful or just doesn’t know any better, I’ve now told the dog, “I want you to have this kind of state of mind at the front door.” Then I start to get mad at my dog because my dog is coming from that state of mind when it jumps on me, barks at other people, growls, those kinds of things. The bed is another common example. Dogs don’t need to be on beds. If I make it about what the dog needs, which is a safe place to sleep and not about what I want, which is I want my puppy in bed, it starts to change the tenure of the relationship in a way that’s going to set things up for much more long term, sustainable, healthy behavior. There’s one other thing I want to say on that. This is important. The bed, front door, treats, affection, I really encourage people not to make that the one place in their life where they express love. A lot of the challenge for us as dog owners as we take a step back, is to realize that we are not actually practicing this in our human relationships. The dog is not to be my recipient for something that’s going to keep me from actually connecting to humans on a deeper, greater level. Courtney: That’s a great way to leave our listeners. Well thank you for taking the time to share your experience and training approach with us. Matt: Absolutely. Thanks for the space. It’s great to connect with you and Dog Hipsters. Courtney: For those of you listening, you can find out more about THE ZEN DOG on their website. For more valuable information on dog training, you can follow @thezendog on Twitter and Instagram and like their Facebook page. For specific questions on private in-home training or group training at THE ZEN YARD in Downtown Los Angeles, feel free to reach out to Matt and his team by emailing wag@thezendog.com. 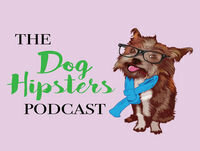 Thank you for being on today’s Dog Hipsters podcast. Please go to doghipsters.com and join us to continue receiving all of the benefits. Good day!